The waiting is over: Exactly 125 days after Nick Catsburg finished in seventh place at the FIA GT World Cup in Macau, the long winter break finally comes to an end for ROWE RACING this Saturday (25th March). The team from St. Ingbert will start the 2017 race season with the 63rd ADAC Westfalenfahrt at the Nürburgring, the first race in the VLN Endurance Championship. 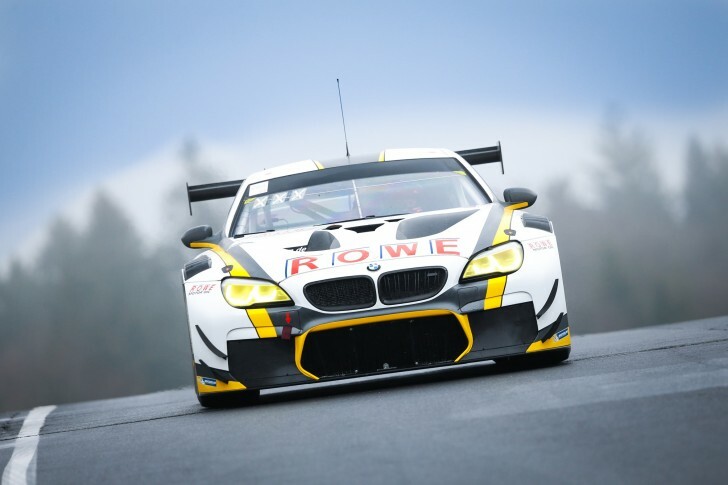 As was the case at last Saturday’s test and set-up session, ROWE RACING will be competing with two BMW M6 GT3s on the Nordschleife which have been developed and improved together with BMW Motorsport over the winter. The cold temperatures during testing, however, meant that work on race set-up was very limited. Priority was getting a feel for the updated cars, especially for new driver Marc Basseng, who will compete in his first race for ROWE RACING on Saturday. The 38-year-old German driver is a Nordschleife specialist, who has reached fourth place in the all-time VLN standings with 26 overall wins, and he will be sharing the cockpit of the #99 BMW M6 GT3 with BMW DTM driver Maxime Martin from Belgium and BMW works driver Alexander Sims. Last weekend, the British driver was competing in Sebring (USA) with Dutch team-mate Catsburg. As at last year’s ADAC 24-hour race, Catsburg is part of a driver team in the #98 BMW M6 GT3 with Britain’s Richard Westbrook and Markus Palttala from Finland, who drove his first Nordschleife kilometres of the year with Basseng and Martin last weekend. The 63rd ADAC Westfalenfahrt, which is scheduled to start at 12:00 on Saturday and lasts for four hours, is the first of three races that will help the team prepare for the highlight of the season, the 45th ADAC Zurich 24-hour race at the Nürburgring on 27th/28th May. It is followed by the second VLN race on 8th April and the 24-hour qualification race on 23rd April. There is also the season-opener for the Blancpain GT Series in Misano, Italy, on 2nd April.